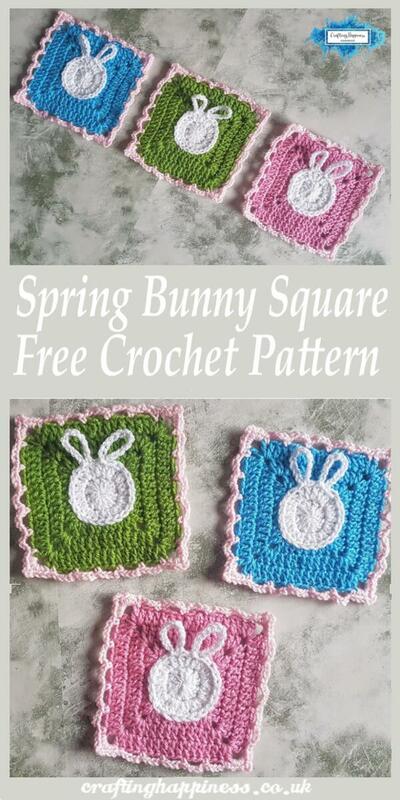 Today I am sharing with you this cute and easy pattern for the spring bunny square. 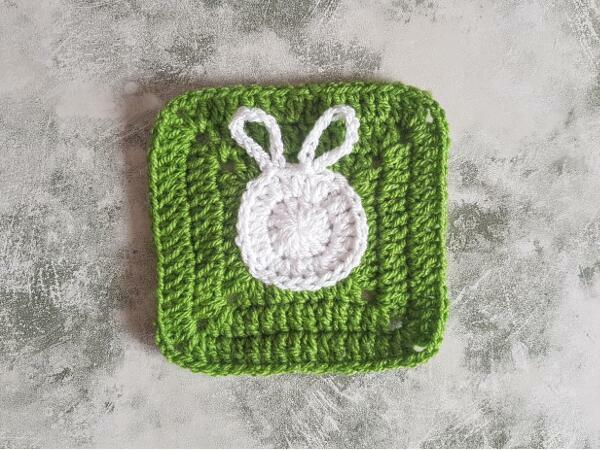 Unlike my premium patterns, this will be permanently free to use whenever you like. It's my Easter gift to you all. 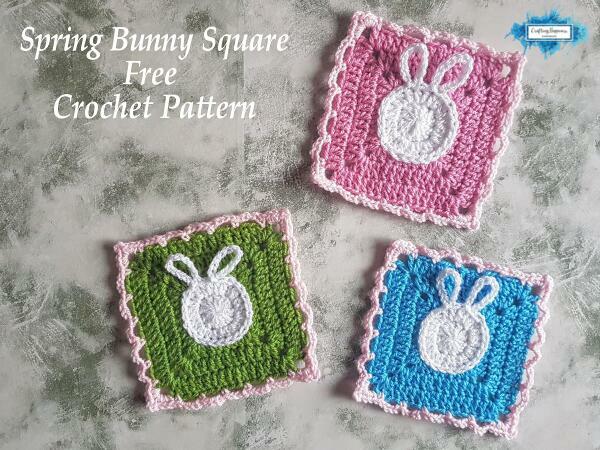 Once you're done with that, lets go back to the spring bunny square pattern! 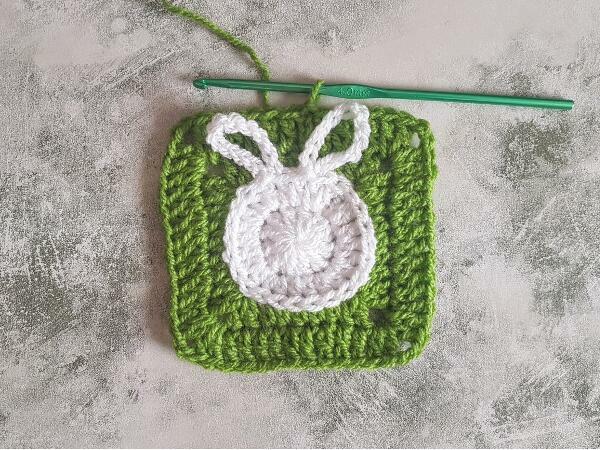 In this post you will find an illustrated tutorial and a video for those who learn better from watching how the pattern is created. 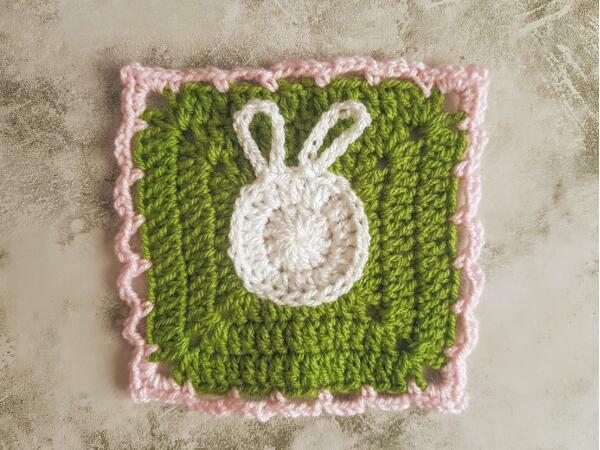 With Easter around the corner, I wanted to create a bunny square that is simple, but modern, and this is why I chose not to put a face on the bunny. 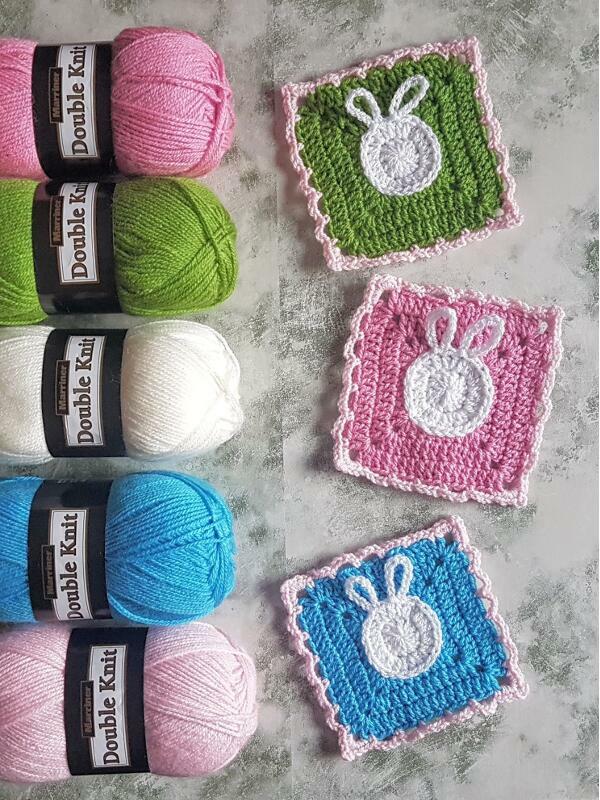 The border for this bunny square was designed this way so you can join them as you go (JAYGO) and save you the hassle of having lots of ends to weave in. I have previously written an illustrated tutorial on JAYGO method on hexagons that you can use as reference, the technique is basically the same for the squares. 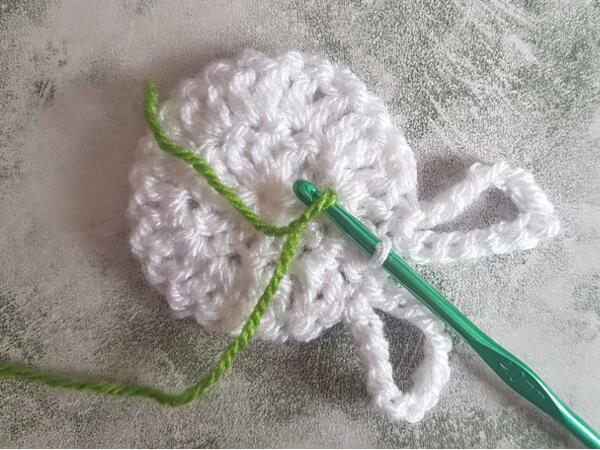 If you don't want to join as you go your squares, then change the last row to a single crochet row with (2sc, ch2, 2sc) in the corners. 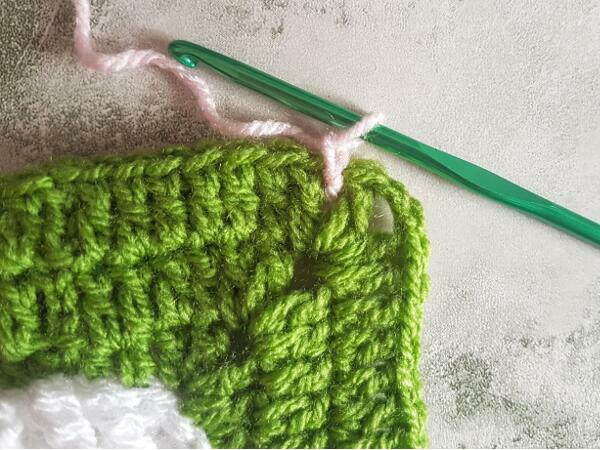 If you didn't know already, there is a 3rd loop behind the main loops of each stitch. 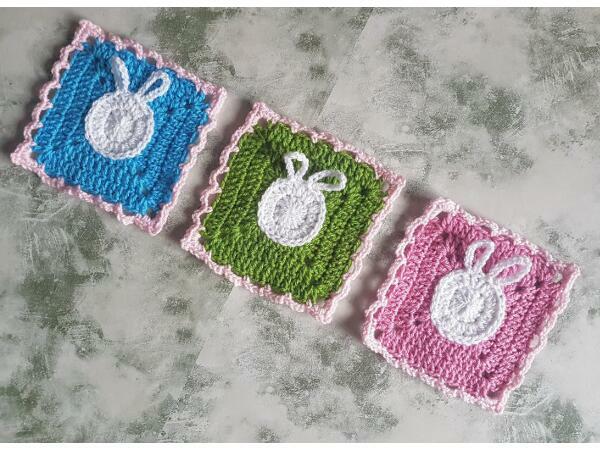 The main loops of the stitch are the front loop and back loop and they create the horizontal V look of the stitch. 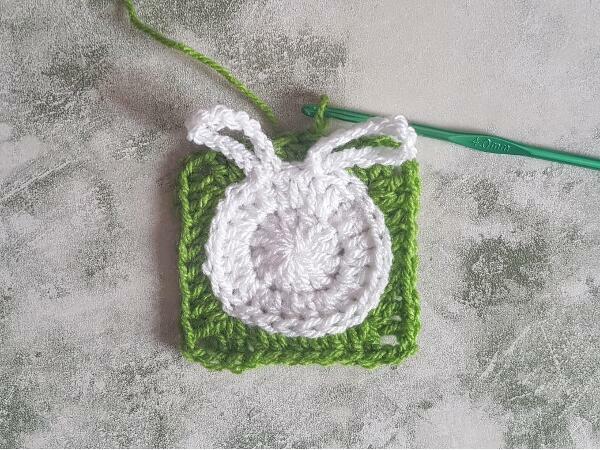 When you yarn over (yo) before inserting the hook in the next stitch creates a third loop. 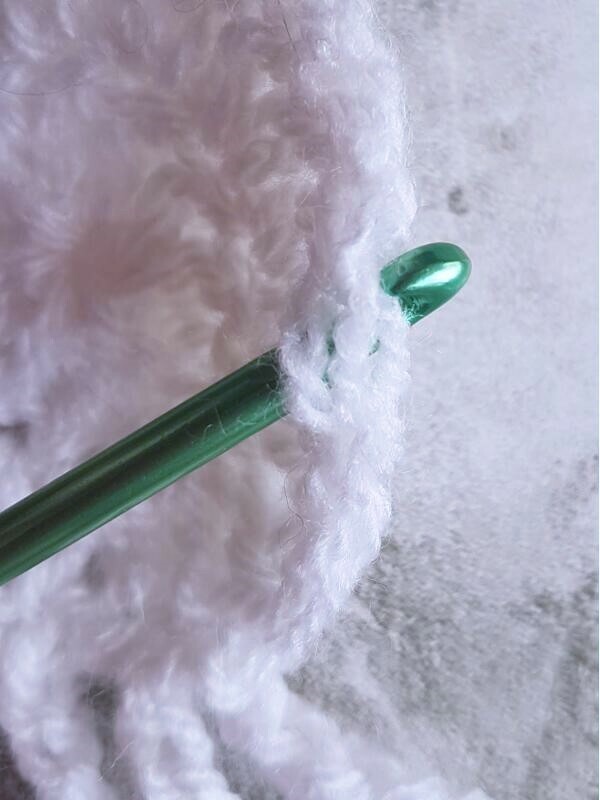 When you crochet in the third loop, you are pushing the top V forward (towards you), and this creates a knit effect to your work. 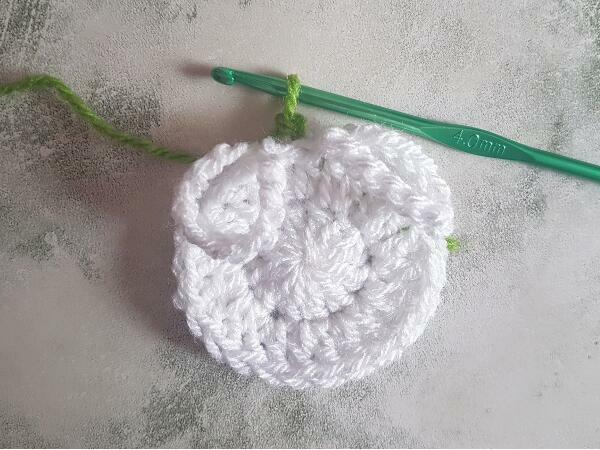 To half double crochet / double crochet in the 3rd loop only, yarn over (2 loops on hook), push the top 2 loops (the horizontal loop) forward (towards you) and insert your hook from top to bottom in the loop behind, yarn over and pull up a loop (3 loops on hook) and continue making the stitch as usual. Work in the round, without turning. The number at he end is the number of stitches (including the chains made in the corners) you should have on that round. 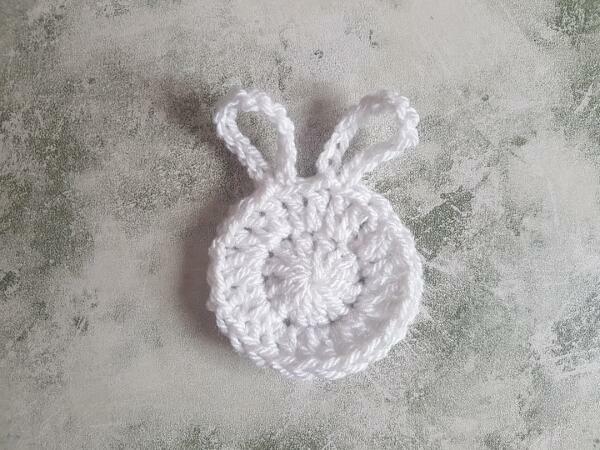 With white yarn, create a magic ring. 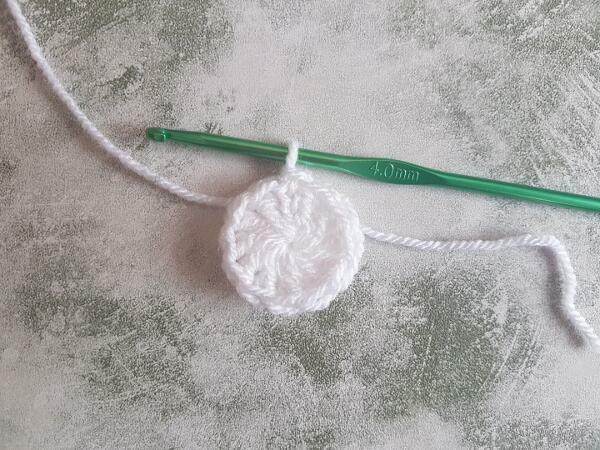 The following round is crocheted in 3rd loop only (3lo). 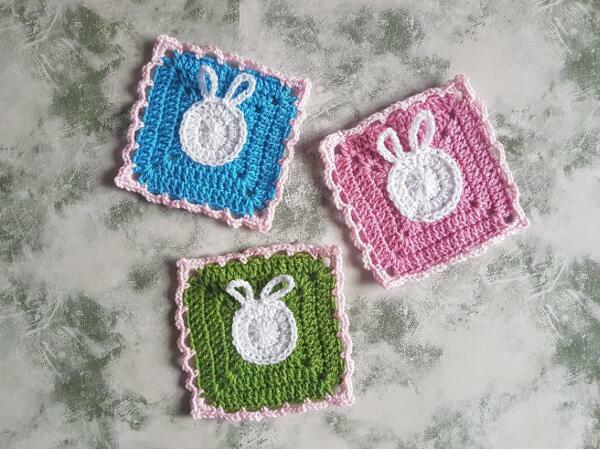 Join the pink, blue or green yarn with a sl st in the 3rd loop of the stitch between the ears. 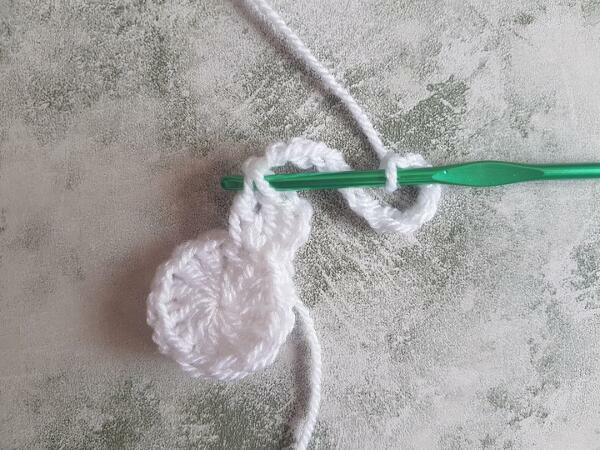 Round 5: ch3, 6dc, co1, *13dc, co1* x 3, 6dc, sl st on top of ch3, fasten off and weave in the ends. sl st in first stitch, fasten off and weave in ends. 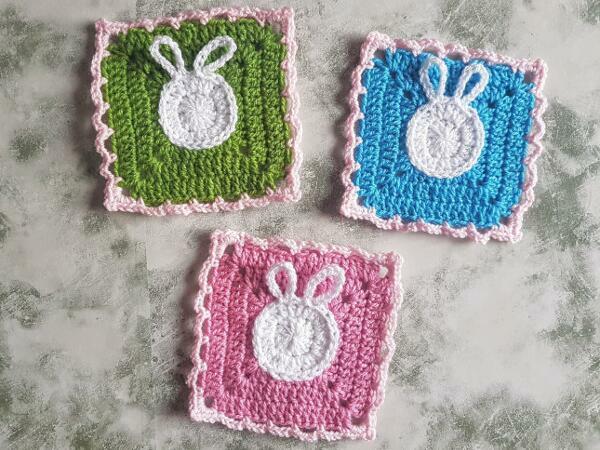 And don't forget, all my premium crochet patterns are free for the first 3 days from release, follow my Facebook Page to be notified when the patterns are posted so you won't miss out. This is adorable. 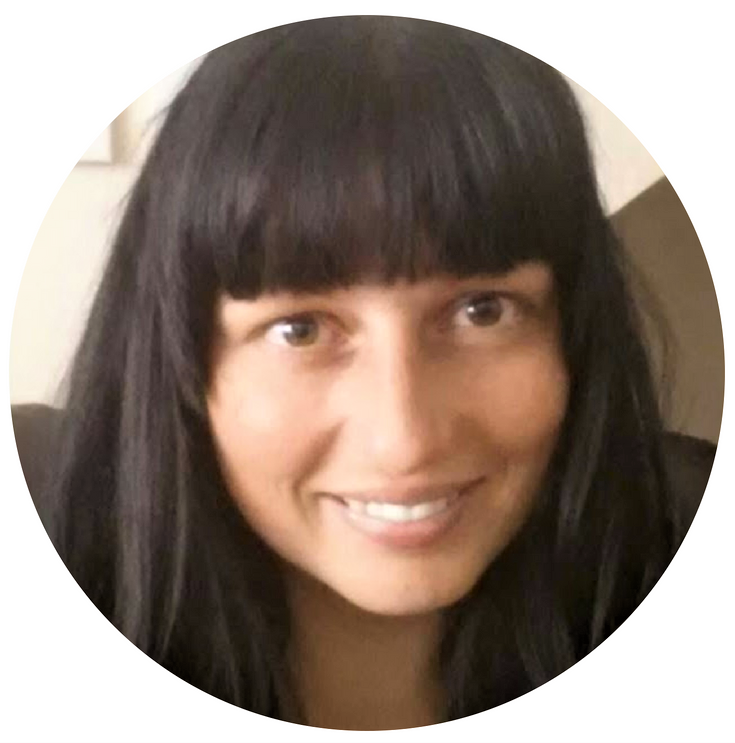 Thank you for sharing it with us. Can't wait to get started.